You CAN be healthy and fit! The decision is a choice. But you need to eat healthy as well as exercise. If you choose a Fitness Club, then be sure to use it. If you do not have the resources to participate in a Fitness Club, then use what is already available to you…for free!! When I was younger, I belonged to a fitness club that was on my way to work. Most mornings I would stop in, workout for an hour, shower then move on to my workday. I always enjoyed starting my day this way. Occasionally I would meet my husband after work, where we would do our workouts together. As time elapsed, and children began entering the picture, the time to utilize the club was becoming inconvenient as well as costly. Eventually, many of these health club centers closed down in which we lost some of our investment. Eventually we decided that it was no longer worth the investment due to our lack of time to get there and our need to pick up our girls from daycare. Fortunately there are some health clubs that remain in business with the goal of meeting the needs within the community, with the added desire to see those who arrive, become and remain fit. Club memberships are beneficial when you use them. 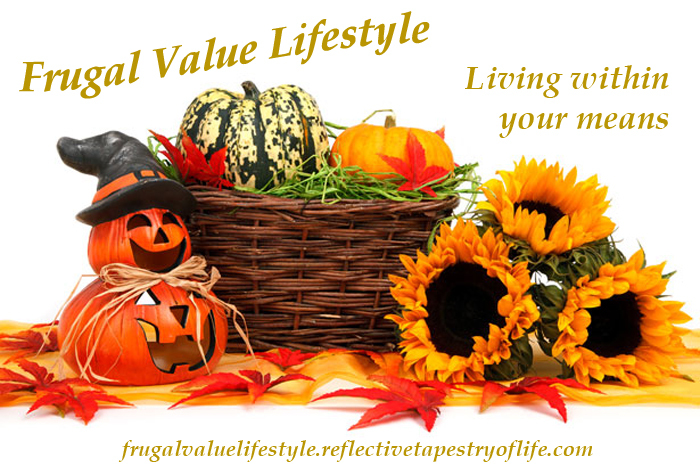 Look for deals that can work within your budget without ever needing to forgo a mortgage payment. If you cannot pay your rent (or mortgage), utilities, car payment (if you have one), fuel and groceries, you cannot afford a fitness club membership. If you can fit the cost of a club membership into your budget, but never use it, then you are wasting money that could be better used elsewhere, such as an investment plan or small savings account. Personally, the cost of the fitness club can be tempting, but it does not fit within our personal budget at this time. Between the cost and the expense of fuel to drive there, we are not able to justify this becoming a monthly bill for us at this time. Then again, I can self motivate myself to exercise at home. Walking – this can be done outdoors most days. Days that I am unable to walk due to the weather, I utilize the stairs in my house, as well as walk within the house. I realize that this sounds boring, but it works. And, you can do it anytime of the day, listening to upbeat music, in your jammies if you must (personally I feel motivated being dressed to work-out), but walk!! Spring, summer and fall you have hiking and biking options. Another option is to drive to your local mall and walk the halls. Many people do this and enjoy meeting up with friends as it motivates them. Take to your stairs in your home or apartment. Call me crazy, but when I first started this, all I could accomplish was four times. Now I am up to twelve. It is harder than you think if you do not do this daily. Put in some upbeat music and exercise. There are LOADS of exercises available in magazines, online (check out SparkPeople.com), books at the library and more. I have a notebook of exercises from ones I’ve collected and tried along with what physical therapists have shared with me. Add low weights to your exercise program to keep your arms from developing what I call “bat wings”. I’m still working at this…as we get older it is not so easy to get rid of what we gained. I am not saying that having a club membership is a bad investment if you have the resources to participate. There are some facilities that from time to time offer a great deal, which makes the investment worthwhile. But, be sure to go!! They have people to train you for their equipment so that you get great results!! Many who purchase memberships, do so with the intention of making it to the club at least three times a week or more, but life can sometimes get in the way. See if you can purchase a 1-3 month membership. If you can stay committed and make it there at least 3 times a week, and can afford the expense, then decide if you can commit for a year. But, do not throw your money away on a membership that only takes money out of your checkbook. Personally, throughout the day, I spend 1 ½ – 2 hrs each day exercising at home. I love my walks outdoors, allowing me at least an hour to see some beautiful sites. Everyday is different. I’ve met a number of great people along my way. The cardio and fresh air are great for you! But the days I cannot get out, due to weather conditions, I find a way to walk inside. Focused on a commitment to exercise and eating healthy and balanced meals, I have managed to lose twenty pounds over the summer. At my age with some joint issues, it has not been easy. With the determination to take the extra burden off my joints and feel great, it has been worth it. I am five pounds away from my first goal that I hope to meet within two weeks. I plan to “maintain” this weight loss during the holiday season then continue on to my final goal of my last ten pounds. I realize that some might argue that I only had a little weight to lose. Not really. At one point in my life I was almost 200 pounds and lost over 50 within 6-7 months. I felt fabulous. Then during a stressful year where there was no time to exercise due to constant studying, I gained twenty back. I’ve now lost that weight gain, with the intent to complete my goals. I know what it is like to shop for clothes and not find things in “my size” that fit (denial). No one can make another person exercise or be attentive to what they eat. It is a personal choice. There is no magic pill, shake, or weight loss bar that will do it for you. You have to want to lose it for it to happen. That is what will motivate you. Whether you have financial resources to pay for a fitness membership or not, it is up to “YOU” to take action. For me it was about becoming pain free and feeling great! Then one day I picked up a ten-pound weight and realized that this amount of weight, times three, was causing stress on my back, joints and bladder. Sure, my MD’s shared that taking the weight off would take the stress off my joints, but it took my actually picking up that weight to realize how “heavy” the extra baggage was that I was carrying around. My pain is not completely gone and there are days where it still hurts to walk and exercise, but I’m walking taller and feeling lighter at no cost other than my time, determination and utilization of what I already have available to me. I hope that many do not wait until the “New Year” to make a resolution. I hope that people make a choice to be healthy because they want the benefits of feeling better if not great. Unfortunately, resolutions in our society are broken all the time because no one keeps one accountable. Making a “choice” to change is a personal decision to take action, also not making someone else responsible for keeping you motivated. One who makes a choice acknowledges the hurdles, yet gets up when they fall so that they can still reach their destination. 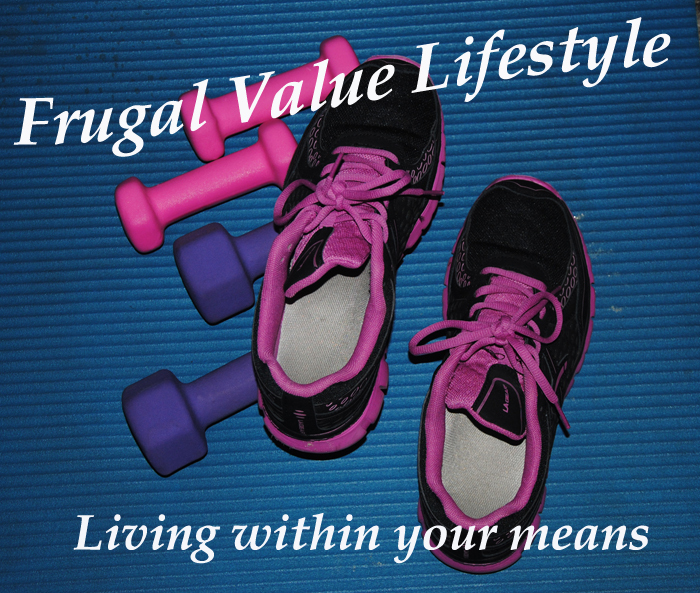 So, how does one take advantage of a frugal fitness regimen? Use a fitness center that fits within your budget. Some companies have a fitness center or reduced memberships. Some insurance companies reimburse you for your participation. If your time or resources are limited, then make space in your home to exercise, using your hallway to walk, using your stairs to work those glute and core muscles, and putting blankets on the floor to exercise. Don’t have the resources to purchase small weights (I use 3 and 5 pound ones…still hoping to get back to using my 8 pound ones soon) then consider utilizing what you have such as filling recycled jars with sand with the weight you want to work with, but also include a diet where you eat appropriate portion sizes, healthy food options and drink lots of water. Also, be aware of your work environment or hobbies (I find that I do a lot of movement when sewing). How many times do you get in/out of your chair (tighten you stomach/core muscles and work those thigh muscles), swivel in your chair (don’t move quickly, but rather intently focusing on the muscle strength without hurting yourself), with your feet flat on the floor, bring your heels slowly up and down to stretch the calve muscles. There are many opportunities to exercise at your work station if you take a moment to think about what you can do. But, also know, this should NOT replace a routine exercise routine. PS: Get rid of all carbonated beverages and trade it for water. You might be surprised at how much you lose just from that decision. Then, move toward reducing dessert treats to once a week (keep it portion controlled).